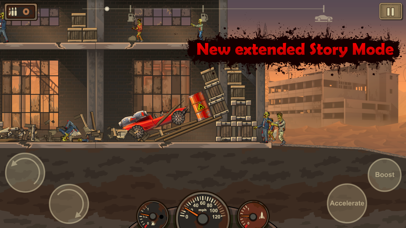 Drive your car through a zombie apocalypse in this massive follow-up to the chart-topping hit Earn to Die! An evacuation ship is waiting on the other side of the country. The only thing that stands in your way: city after city overrun by zombies . 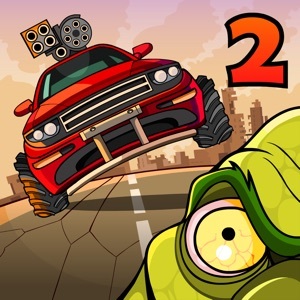 With only a run-down car and a small amount of cash you face a familiar situation... to drive through hordes of zombies in order to survive! BRAND NEW STORY MODE Earn to Die 2 introduces a massive new Story Mode, five times longer than its predecessor. 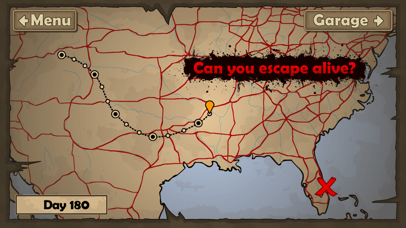 The game departs its familiar desert setting and delves into the depths of cities infested by zombies. MULTI-TIERED LEVELS: Levels are now multi-tiered! 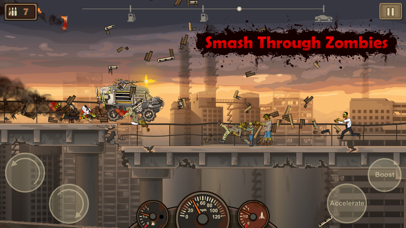 Drive across decayed highway overpasses, via underground tunnels, or smash through epic zombie filled factories. Whichever path you choose to take, you won't be able to escape the zombie hordes - your only choice is to smash through them! 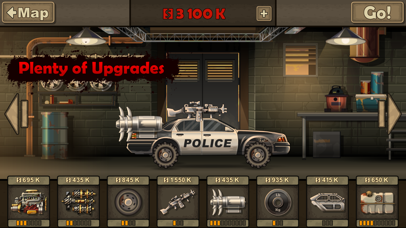 BUILD A ZOMBIE-SLAUGHTERING MACHINE Unlock and upgrade 10 different vehicles, including a sports car, a fire truck, and even an ice-cream van. Each vehicle can be equipped with a range of upgrades, such as armored frames, roof-mounted guns, boosters and more. Those zombies will stand no chance. 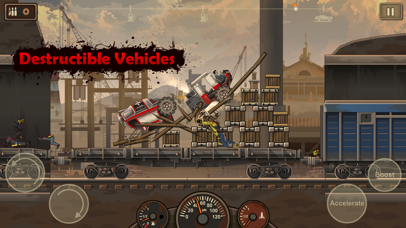 DESTRUCTIBLE VEHICLES Vehicles are now fully destructible. Hang on for your life as your vehicle gets smashed to smithereens if you aren't too careful. MORE ZOMBIES. MORE DESTRUCTION. MORE MAYHEM. What are you waiting for? That rescue ship isn't going to wait forever! Prepare yourself for a wild ride - and seriously, there is nothing like smashing through zombie-filled factories!